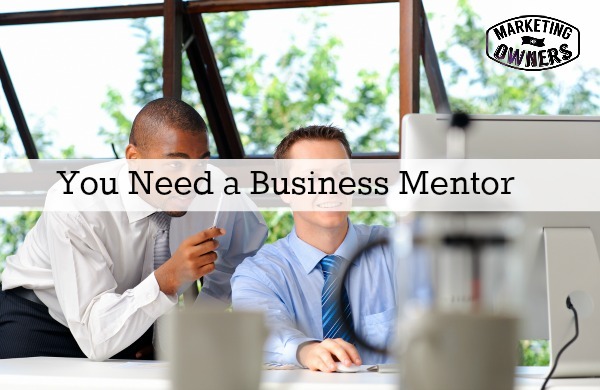 I’ve mentioned before that you need a business mentor, a coach, or someone like that. The reason I’m going to tell you this again is because you really do need someone to talk to. Hey, you can talk to your friends down the pub, at the bar, you can talk to your spouse over dinner, you can talk to your kids, but you need someone who understands. Now, let me put this into perspective. My very first business coach was a guy called John. I haven’t spoken to John for ages because I’ve moved on, and different things. John connected with me recently. We’ve gone through a lot of life changes but he was restarting his coaching business and he had a inquiry in Johnson in Keywest in Florida… And he had an inquiry from the UK and he wanted to ask if I was prepared to speak to him as a testimonial. I said, Oh yeah, absolutely. But I also said, hey we should get in touch. I have just had a little chat with John. You may not know it because he’s half short… Of course everyone who knows me does know I like to talk a bit and I boy have I got a lot to say! So we’ve just been chatting for about an hour and a half. But hey we had a lot to say and he missed the talking so give me a break. Before John had any commerce business, he was my coach. We talked, bounced ideas. A coach and a mentor does not teach you, they guide you, they help you, they make you accountable. They help you reach your goals. They help you set goals. There is nothing that you cannot do. Without it, who are you accountable to? And if you are accountable to someone, I think it’ll be someone you respect. So what we discovered at the end, is that when we talk to each other, we are with good friends. We understand our business. We’re completely different angles to it, completely different, but we know and trust each other, we know, we understand what we’re talking about. We don’t have to explain any basics. We can just explain what we’re doing. We’re not actually coaching each other. We are like a mini mastermind with two people. So when we talk, we talk about personal stuff and also with family because we’ve known each other for years. However, we also talk about our businesses. Not in a boring way, we’re just explaining what we’re up to and what’s new. These things, you know, the online world changes all the time… But the great thing is that when John talks to me, I will hear him say about something he’s doing, he’s done, he’s about to do, and I’ll think, Oh gosh, that’ll work for me. I will capture nugget of information. Like when I listen to podcasts, when I read a business book, I’ll catch one little nugget and I’ll think, I can use that. No matter how small it is, it might be something so simple as I’m using a particular tool or app for something means there’s oh I’ve got to know this, it’s free. It does all this and that I think, never heard of that, I’ll try it… Maybe the next best thing. We have now made arrangements to chat the first Tuesday of every month. And I’ve just put it in a calendar. I work in the UK, I work in Canada, he’s in Florida. We will make it work because we know how this stuff works. Go for it. I have a strategic coach, I have Dave to work as a mentor, I talk to other people, I bounce ideas. You need a mastermind. Funny enough, by coincidence, I’ve also been podcasting. I’m setting–someone set up for us between two of us. The other guy is in Vancouver but we used to be from the same county as me and Ken. We’re going to meet up tomorrow I think in our local Starbucks and talk about podcasts and our business from that perspective. And that’s going to be a new one. These are free because we found people who are on the same level. Initially, as a strategic coach, I pay a lot of money — having David cost me a fortune to employ him, so prepare to pay. These are people who will help further your business. You have to do it. If you want to speak to me about this, I don’t actually offer coaching, I don’t offer one on one, but if somebody asks me they want to meet a mentor to be available, I would do it. Would you trust me, do you know me, maybe you don’t, would I help your business, oh yeah, and then some. Why on earth do you think I teach all this stuff? You think I don’t know anything about your business? You think I can’t help you in yours? You are wrong. I have been around for a while, basically I go door to door, cold coin commissioning salesman after I left school, I’ve done a few things. But anyway this isn’t to sell that because I don’t really offer it. But if you want some advice, if you want to speak to say John, I have no idea what he charges, probably not a lot, probably applicable to the client. Speak to me, email me at info@marketingforowners.com and it will get to me. Just email coaching, mentoring on the subject line, it will get through to me. And I can advise you. If you say Jon what would you charge me? I’ll speak to you on Skype, you can find out if you actually like me and then we can discuss it. Today I am going to share with you a podcast that was recommended to me and I listen to it. And it has made it onto my shortlist on my iPhone, because I listen to lots of podcasts. Not many get a regular download on my iPhone because I can’t listen to them all. 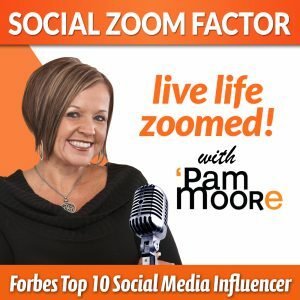 This is from Pam Moore at Zoom Social Media — it’s kind of like mine, it’s almost short based, around 10 minutes to sometimes half an hour. All vary but all to do with marketing applicable tips, how to use things… I was listening to one the other day and all about triberr.com how she uses it, how it works for her, I wanted to hear, I wanted to hear from an expert, she’s great. She’s got a good voice. She is on the Forbes top ten social media women recommended list and that’s a pretty big deal. So look up Pam Moore — You won’t regret it. Who do you need to ask to be your mentor?